CNN traveled with us on Tea Party Express, to approximately 40 rallies nationwide. I, a black conservative, opened each rally singing my "American Tea Party Anthem." And yet, not I nor any of the other blacks on our team, were seen in the CNN documentary, thus causing viewers to conclude the Tea Party Movement is a "white thing." For the most part, the liberal media ignores black conservatives. And when they do interview one of us, it is from a "Can you believe this stupid Uncle Tom" point of view. Unfortunately, conservative media and most tea party organizers do not seem to grasp the strategic wisdom in featuring and supporting black conservatives. Brothers and sisters, the Left is exploiting Obama's skin color for everything it is worth. Their guy in the indestructible black coat of armor is making all of their liberal dreams come true — usurping more power than any "white" president could imagine in his wildest dreams. You can't say "no" to Obama. He's black! All opposition is racist. Folks, the left is fighting to win, working the "black thing" to the hilt. We cannot afford to leave our black weapons of mass influence on the sidelines. Our economy is an unprecedented disaster. Pundits are saying under "normal conditions" the president would be fired. However, they believe Obama will be re-elected. "Normal conditions" means if the president was white. In other words, pundits believe Obama's black skin is the ultimate trump card deflating all opposition to his systematic destruction of America. Meanwhile, black conservatives are giving it their all, tirelessly fighting to defeat Obama, for the most part in anonymity. We have many great black conservatives on our side. They should be featured front and center at our rallies, TV shows, radio shows, etc. — not for the sake of black conservatives, but in defense of our Tea Party Movement. 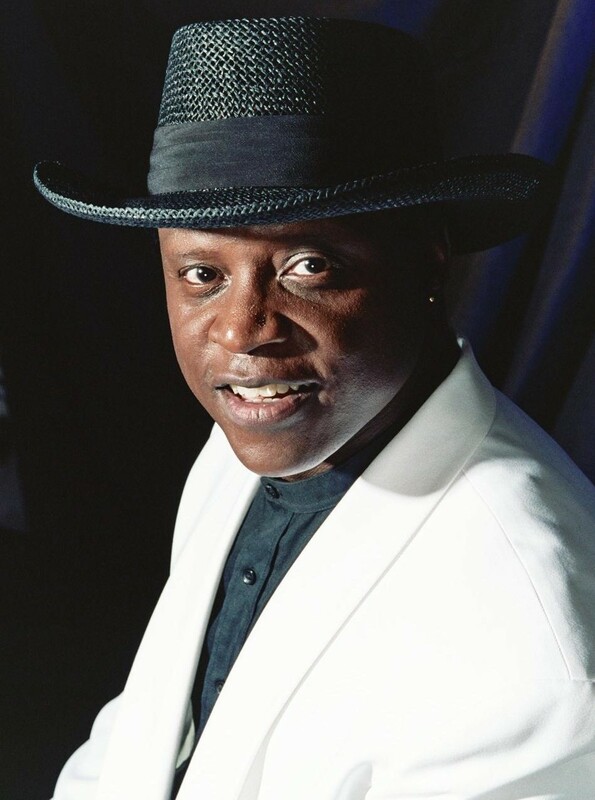 Here's how a black radio talk show host began his interview with me: "If they (meaning white tea partiers) want to attract black people, the least credible thing they could do is to stick a black guy out front wearing a cowboy hat" (meaning me). "Hang in the there." I boldly espoused conservative principles. His scheduled 10 minute radio interview with me went for 30 minutes. Remarkably, every caller into the program agreed with me. Praise God! Folks, we have got to take our message to the black community. Also, funding should be targeted to take our tea party message to the black community. Seasoned politicians say nothing gets votes like going to the people — knocking on doors and showing up at community events. Obama and his minions, including the liberal media, continue to lie about the intentions of the tea party. In a soon to be released book, Obama says the tea party is motivated by race. It's time we go to the black community and tell our side of the story, the truth. Let black America know the tea party has nothing to do with race and everything to do with preserving our freedom, liberty, and culture. I am trying to launch a mini tour to black colleges titled "Reach Your Dreams." The message of my rallies targeted to black youths is: "The best route to reaching your dreams is conservatism." The rallies will feature mostly black conservative speakers, including a few black conservative rappers. I will emcee, speak, and sing. I need sponsorship. 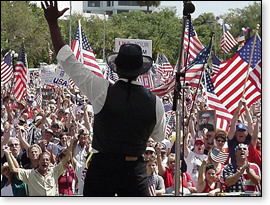 Black conservatives should be flying all over the country speaking, performing, and singing at tea party events. Patriots, please do not think I am whining or asking you to feel sorry for black conservatives. Heaven forbid, I am not. All I am saying is the Left is exploiting Obama's race "big time," destroying America, while aggressively pounding the drum more than ever that the tea party is racist. Meanwhile, we have powerful black resources not being maximized. Black Conservatives are valiantly fighting alongside our fellow white patriots in the Tea Party Movement. It is time to rip away the cloak of invisibility.